Mr. Johnny Lee “Tuffcat” Spencer of Melody Lane Americus, Georgia died on Friday, May 26, 2017 at his residence. Funeral services will be held on Saturday, June 3, 2017 at 11:00 A.M. at Spring Hill Baptist Church with Rev. Clinton Aldridge officiating. Burial will follow at the Eastview Cemetery. Johnny Lee Spencer was born on December 1, 1957 in Sumter County, Georgia to the late Katie Wiggins and the late Elmer Spencer. Johnny was employed as a truck driver at Transway until he became disabled. Funeral services for Mr. Eddie Dean Tyner age 62 of Americus, GA will be held on Saturday, May 27, 2017 at 11:00 A.M. in the Chapel of West’s Mortuary with Rev. Daniel Clinton officiating. 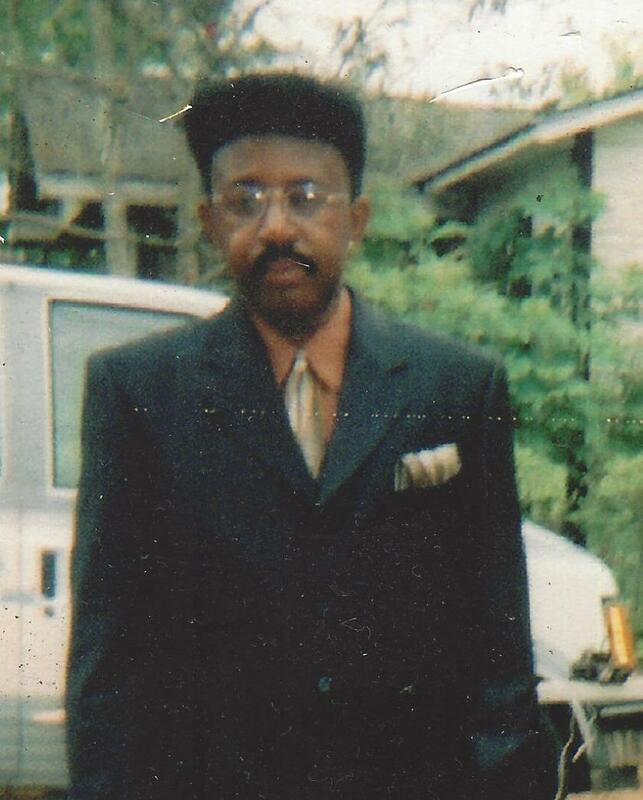 Mr. Eddie Dean Tyner as born on December 22, 1954 in Sumter County, Georgia to the parentage of the late Mr. Willie Tyner and the late Mrs. Nancy Mack Tyner. 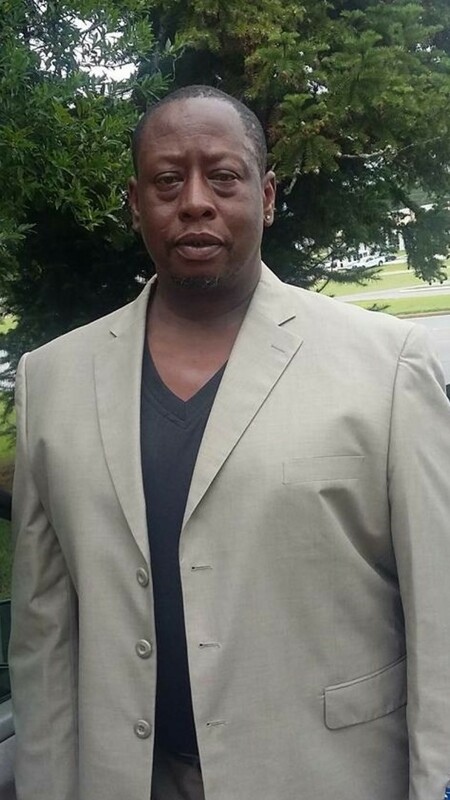 He received his education in Sumter County Public School System. Eddie was employed at Phoebe-Sumter Medical Center in Americus for 10 years until his health failed. God called him home to rest on Wednesday, May 17, 2017 at the Lillian Carter Nursing Home. He is preceded in death by five brothers: Mr. Thomas Tyner, Mr. Eddie Wade, Mr. Samuel Tyner, Mr. Willie Tyner, Jr. and Mr. Johnnie Tyner and two sisters: Mrs. Ozzie Tyner Angrish and Mrs. Mary Blue. He leaves to mourn his memories, his devoted and loving wife of 18 years, Mrs. Georgia Tyner of Americus, Georgia; his children: Koshama Richardson, Trina Tyner, La’Toya Tyner, Eddie Tyner, Brandon Tyner, Jamal Tyner (Heather), Jermaine Tyner, NZall Harvey and Victoria Banks his step daughter; a grandson that he raised as his own, Braylin Larkins; two sisters: Ella Gloria Tyner and Carolyn Bateman; nine sisters-in-Law: Mattie Sue (Johnny Waters), Donnie Mae Williams, Bobbie Jean (Jerome Waymon), Mary Ann Banks, Nancy J. Bruce, Ruby L. Tyner, Bertha Tyner, Viola Tyner and Betty Ann (James) Garrett; a beloved father-in-law, Mr. George Banks, Sr. and mother-in-Law, Mrs. Mattie Mae Banks; three brothers- in-law: Eddie Williams Robert Thomas and Calvin Snipes; sixteen grandchildren and four great grandchildren. A host of nieces, nephews, cousins and friends also survive. Funeral services for Mr. Edward Leon Dice of Americus, GA will be held on Monday, May 22, 2017 at 11:00 A.M. at the Perry Grove Baptist Church in Leslie, Georgia with Evangelist Sarah Dice officiating. Burial will follow at the Eastview Cemetery. 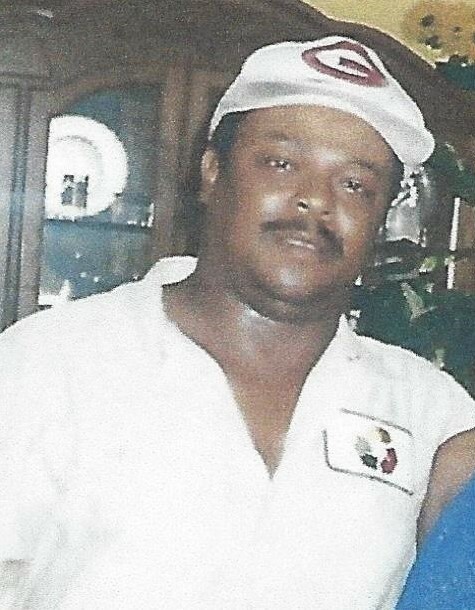 He leaves to cherish his memories, a son, Edward Leon Dice, Jr. and four grandchildren: Jakyle, Ashton, Brooklyn Dice and Dwayne Williams; three sisters: Ms. Deborah Dice and friend, Mr. Charles Gordon of Americus, GA, Ms. Imogene Dice and friend, Mr. Patrick Bolden and Mrs. Melinda (Charles) Johnson all of Forest Park, GA; a devoted companion, Ms. Dorothy Jones of Americus, GA; two aunts: Mrs. Bobbie Players of Miami, FL and Ms. Bertha Dice of Americus, GA; three nieces: Mrs. Yasima Gordon of Americus, GA, Ms., Niesha Johnson, and Ms. Valerie Dice both of Atlanta, Georgia; four nephews: Mr. Corey (Cheryl) Johnson of Atlanta, GA., Mr. Nicholas (Sharonda) Johnson of Americus, GA, Travaris Dice of Atlanta, GA and Mario Dice of Americus, Georgia; a sister and brother from another mother: Mrs. Deborah Fortune and Mr. Eric (Tracy) Finch of Americus, Georgia; a devoted friend Preston Davis and several other relatives and friends also survive. Funeral services for Mrs. Carolyn Wade Cooper will be held on Tuesday, May 16, 2017, at 11:00 a.m. at Friendship Baptist Church on Cotton Ave in Americus, GA.
Carolyn Wade Cooper, was born on December 19, 1946, to the late Bural Thomas Wade, Sr. and the late Pearl Clark Wade of Andersonville, GA. Carolyn gave her life to Christ at an early age and joined Mountain Creek A.M.E Church, where she remained faithful and dedicated for the duration of her life. She served as Secretary and Steward for many years. Carolyn always had a passion for sewing, cooking and doing hair. Those magic fingers touched many things. She was a 1964 graduate of Sumter County Senior High School in Americus, GA. Carolyn always had the magic touch so after graduation she began her magic touch as a Seamstress at Manhattan Shirt Factory in Americus, GA, where she worked for several years. As the magic fingers continued on their journey to Dell’s Drapery in Americus, GA, she further pursued her passion in making things. As those fingers worked designing other's dreams, Carolyn also used those same magic fingers to use her skills of culinary to bake numerous cakes, pies, biscuits “you name it”. The magic fingers next journeyed to her long time passion in doing hair. So she took a leap of faith and finally decided to pursue her long time dream by enrolling at South Georgia Technical College where she successfully obtained a Cosmetology Degree. As a Master of Cosmetology, she had the opportunity to work at various salons using her magic fingers. Then they walked into the doors of her own shop where her magic fingers worked their magic on many heads. She worked many tireless days and nights creating many different styles for many people. She had a wonderful relationship with her clients and many became close friends. During the early Spring morning of Wednesday, May 10, 2017, the Heavenly Father whispered in the ear of Carolyn and said “Carolyn”, let’s take a ride. You have fought a good fight, you kept the faith. Now, let’s go home and rest.” Carolyn was at peace when she went home to be with the Lord, leaving behind a rich legacy for many generations to come. She was preceded in death by her father and mother Bural Thomas Wade, Sr. and Pearl Clark Wade; brother, Bural Thomas Wade, Jr.; and husband Sgt Arthur Lee Cooper. Carolyn was married to her loving husband Arthur for 43 years, during this union four bubbly babies were born: Karen (Keith) Timmons of Leslie, GA; Melbae Terina Abernathy of Durham, NC; Marcus Antonious Cooper of Rock Island, IL; Melody (Joseph) Ebron of Augusta, GA.
She leaves precious memories to her nine grandchildren: Desmond Timmons, Jamar Abernathy, Karissa Abernathy, Cortavious Stephens, DeMarcus Cooper, Christian Abernathy, Kayla Cooper, Sanai Cooper, and Brayden Ebron. She was also blessed one great granddaughter Serenity Abernathy. She will be forever loved by seven sisters and one brother: Bettye Jean Dean of Orlando, FL, Sara (AJ) Mills of Andersonville, GA, Earnestine (Rob) Colbert of Andersonville, GA, Dr. Oneida (Arthur) Ingram of Americus, GA, Dr. Amanda (Tony) Cooper of Americus, GA, Michael (Annie) Wade, Brenda (Melville) Griffin of Conley, GA, April Johnson of Lithonia, GA, and Evelyn Williamson of Mount Vernon, NY. A special thanks her devoted and dedicated caregivers that supported her daily, Keith Timmons and Eloise Reddick. She will always have a special place in the hearts of her brothers and sisters-in-laws: Nadine (John) King, Smithville, GA, Vera (Arie) Arney, Dallas GA, Rena Cooper, Conyers GA, Barbara Linnear, Augusta, GA, Eartha (Johnny) Robertson, Augusta, GA, Irene Rutherford, Americus GA, Willie Cooper, Americus GA, Eddie Lee (Effie) Cooper, Leslie GA, Reubin (Vivian) Cooper, Miami FL, Tony (Amanda) Cooper, Americus GA, Thomas (Angellette) Cooper, Fayetteville, NC, Royzell (Shirley) Cooper, Vienna, GA, Minnie Cooper, Tacoma, WA, and Delorne Cooper, Leslie GA. Also a host of nieces, nephews, others relatives, and many sorrowing friends. Carolyn loved everyone and was loved by her family and friends. She will always be remembered and never forgotten whether from her stern advice, her humor, and her abrupt honesty. Funeral services for Miss Nikita “Kitty” M. Deriso of Plains, Georgia will be held on Saturday, May 13, 2017 at 3:00 at St. John A.M.E. Church on Hudson Street in Plains, Georgia with Rev. Jesse Watts officiating. Burial will follow at Greater New Lebanon Cemetery. Nakita Marshella Deriso was born in Americus, Georgia on July 20, 1986 to Anthony Floyd Deriso and Eula Faye Deriso. 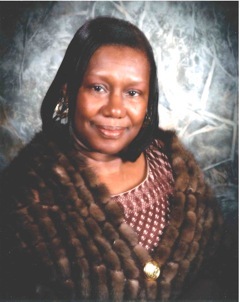 Nakita, affectionately known to her family and friends as “Miss Kitty” was educated in the Sumter County School System. She graduated from Americus-Sumter County High School. Upon graduation, she attended Innovation Senior Solution Adult Day Care Center. Miss Kitty enjoyed attending the center that she loved so much. 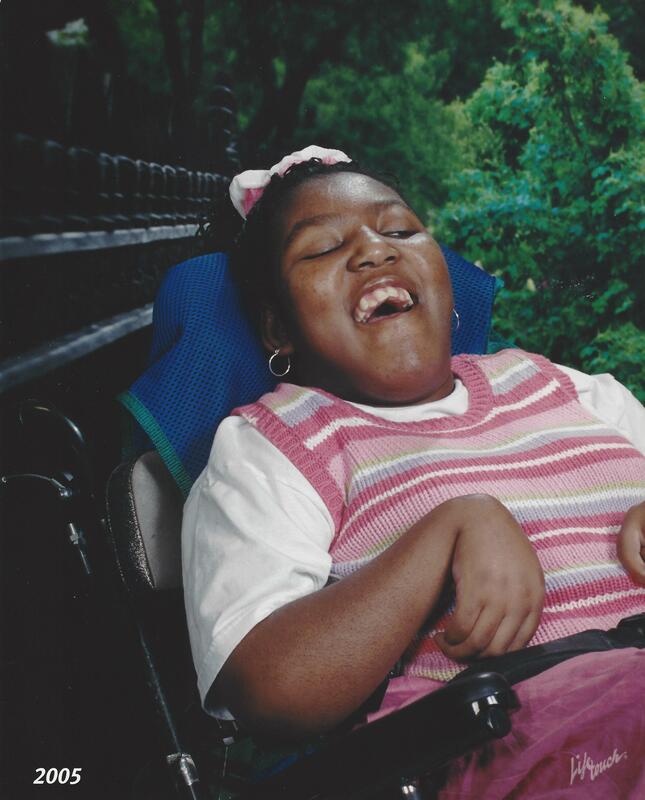 Nakita believed in Jesus Christ and attended New Lebanon Baptist Church. She was preceded in death by her grandfather, Dennis Melton and her aunt, Shamona Davis. God called his angel, Nakita home on Monday, May 8, 2017 at Phoebe Sumter Medical Center in Americus, Georgia. 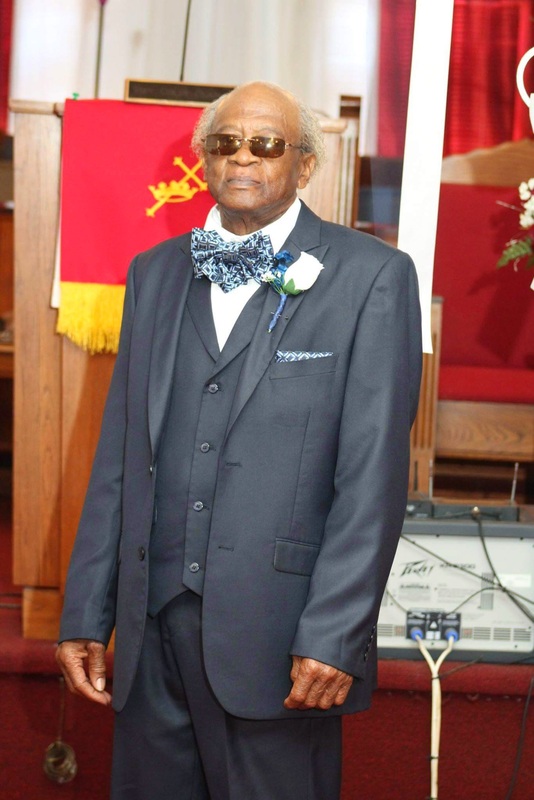 Funeral services for Mr. Willie C. Thomas will be held on Saturday, May 13, 2017 at 11:00 at Zion Grove Baptist Church with Pastor Coley Clark, Jr. officiating. Interment will follow at Champ Waters Cemetery. Willie C. Thomas was born October 10, 1943 in Montezuma, Georgia to the late Clarence and Ossie Lee Tookes Thomas. At an early age, he accepted Christ as his personal savior and joined Zion Grove Baptist Church. He attended Flint River Farms School. On July 10, 1972, he married Mary Louise Larry, who preceded him in death. He was also preceded in death by his daughter, Cordelia Larry Stewart. After many years of dedication, he retired from Allens. On Sunday, May 7, 2017, Willie C’s earthly life ended and his heavenly life began. He leaves a legacy of love and memories to his mother, Rosa Hobes Thomas; sons: Christopher Thomas (Carmelia) of Montezuma, GA and Jerome Thomas (Kim) of Macon, GA; sisters: Mattie Waters of Akron, OH, Olivia Cochran (Eddie Sr.), Mary Davis (Bobby), Gloria Thomas all of Montezuma, GA, Joe Thomas (Helen) of Oglethorpe, GA, Willie D. Hobes (Mattie) of Greensboro, GA, Rosa Hobes Fox of Washington, D.C., Albert Hobes of Buffalo, NY, James Hobes, Jr., Debra Hobes and Ronnie Hobes all of Montezuma, GA; sister-in-law, Dollie Larry West of Montezuma, GA; brother-in-law, Hubert S. West, Sr. of Montezuma, GA; aunts: Bernice Brown of Miami, FL, Mary Lizzie Brown of Marshallville, GA, Ophelia Larry of Henderson, GA and Izola West of Smithville, GA; nine grandchildren: Derrick Sr., Claudette, DeCarris, Domonique, Lekeitha, Elethia, Christopher Jr., Christine and Christian; twelve great grandchildren: D’Quayveon, Miekell, Kaitlyn, Emiyah, Frankie Jr., Carmen, Ariya, Derrick Jr., Eric, Breonna, Haley and Tykerious; a host of nieces, nephews, cousins and sorrowing friends. 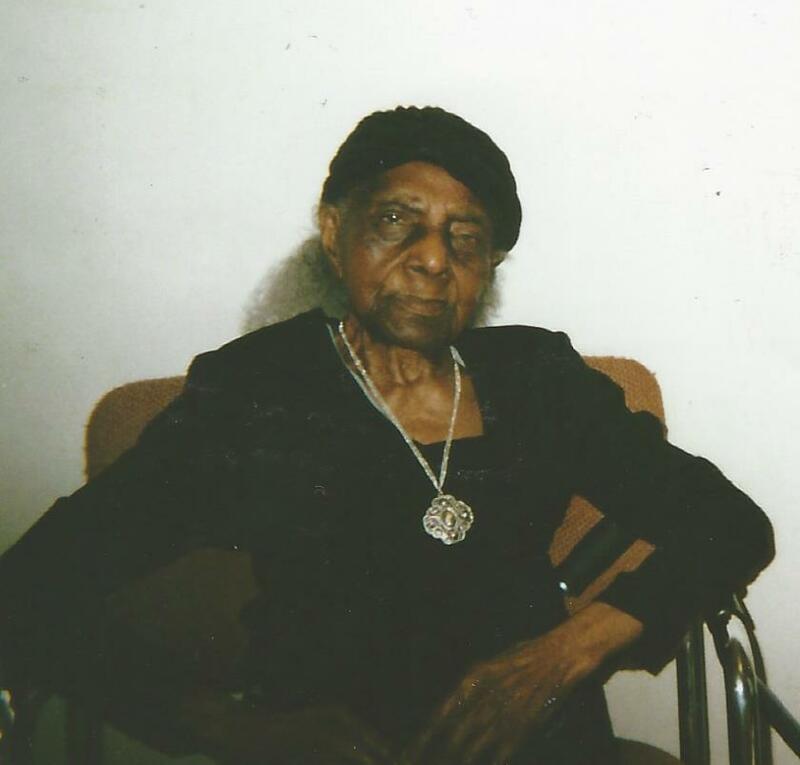 Funeral services for Mrs. Annie Bell Small Chambers age 107 of Americus, Georgia will be held on Tuesday, May 9, 2017 at 11:00 at United Holiness Church in Americus, Georgia with Rev. George F. Monts officiating. Burial will follow at Hill Cemetery. Mrs. Annie Bell Small Chambers was born October 15, 1909 in Terrell County, Georgia to the parentage of the late Minnie Lee and Sirene Small. She was educated in the Terrell County School System. Mrs. Annie was a faithful member of the Mt. Salem Baptist Church until her health failed. She leaves to mourn her passing three sons including her caregiver: Mr. Willie C. Chambers and friend, Bobbie Shields of Americus, GA, Ricard Chambers (Cheryl) and Marvin Chambers both of Chicago, IL; her grandchildren: Sabrina Chambers Clyde (Marcus) of New York, Valoria Larkins (Metric), Terisa Chambers, Willie Chambers, Jr. all of Americus, Georgia, Michelle Chambers Webb (David) of Indiana, Minister Keshia Chambers of Chicago, Richard Chambers, Jr. of Louisiana, Sonya Chambers of Chicago and Marquita Chambers of Missouri. Thirty-One great grandchildren and several great great grands and a host of nieces, nephews, cousins and other friend also survive.